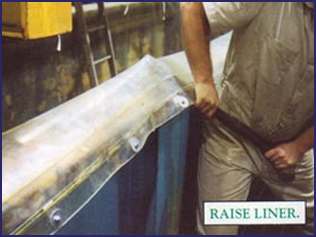 The premium liner is clear in color which helps to find leaks if the liner is damaged. The material is chemical resistant and can withstand temperatures of up to 180º F. It is the #1 liner used in chromic solutions. 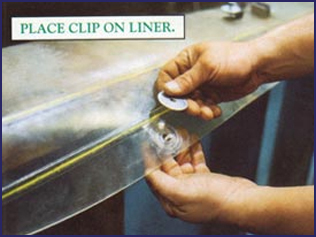 Stainless steel clips are recommended for liners that are 1/8" or 3/16" thick and over 8' long. 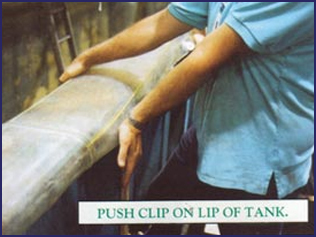 Tanks that are not square or rectangular should also use stainless steel clips where a neat, secure look is desired. The tank pictured here has a lip that is over and down. Flat lips also work well for stainless steel clips. 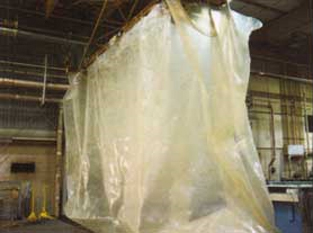 The installation seen here was made over an old koreseal lining. 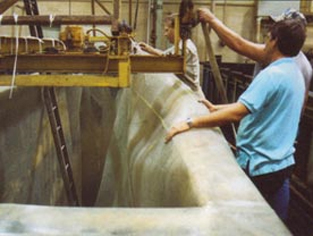 The liner was installed at a location used by an aerospace company for dipping large airplane parts. 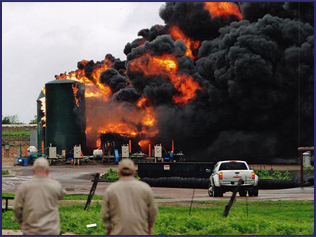 The most common and inexpensive way to secure a liner over the tank flange is with rope and grommets. 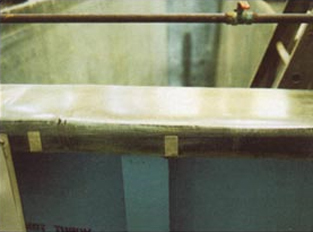 If rope and grommets are not suitable, liners can be easily modified to be secured by other methods: Bolted batten strips or self tapping metal screws may be used. 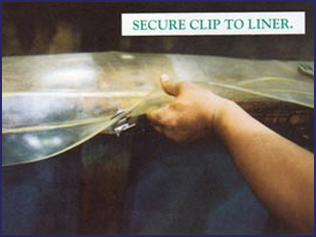 For a more secure fit with large, heavy duty liners, stainless steel clips are recommended. 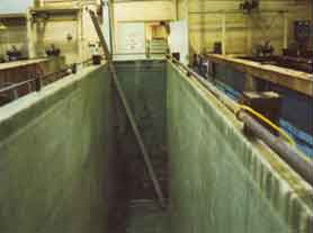 Liners can be made to fit virtually any shape or size for tanks, sumps, pits, floor trenches, etc. 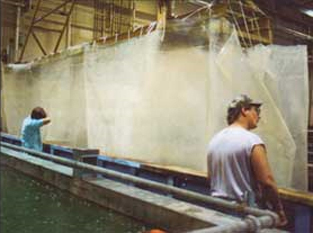 Send us your tank specifications for a custom liner.